Richmond, Va. – October 12, 2015 – (RealEstateRama) — William A. “Bill” White Jr., president and owner of Joyner Fine Properties, has been elected to serve as 2016 president of the Virginia Association of REALTORS® (VAR). He succeeds Deborah A Baisden as the top volunteer elected leader of VAR, which is the largest trade association in the state of Virginia with more than 31,000 members. White will assume his new VAR post in November 2015. During his over 30-year career in the real estate industry, White has been involved in most aspects of commercial and residential sales and development. He holds several designations from the National Association of REALTORS®, is a past president of the Richmond Association of REALTORS® and the Roanoke Valley Association of REALTORS®. Awarded the Virginia Association of REALTORS®’ Salesman of the Year Award in 1983, White also earned the Richmond Association of REALTORS®’ REALTOR® of the Year Award in 2007. 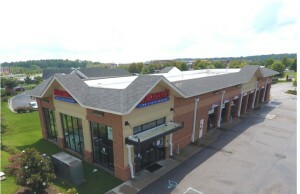 As president and owner of Richmond-based Joyner Fine Properties since 1998, White runs a full service real estate company numbering over 200 agents and staff with residential, commercial, farm and estate, and property management divisions in three locations plus two satellite sales centers. The Virginia Association of REALTORS® is the largest professional trade association in the state, representing approximately 31,000 REALTORS® engaged in the residential and commercial real estate business. VAR serves as an advocate for homeownership and homeowners and represents the interests of property owners in the Commonwealth of Virginia. For more information, visit www.varealtor.com.